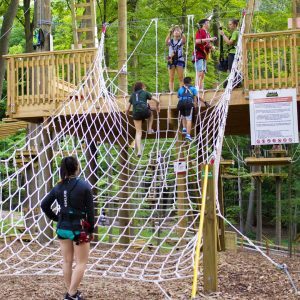 TreeRunner Grand Rapids is excited to announce that we will be adding an exclusive climbing camp program to our 2019 season! This camp is the ultimate opportunity for children to gain confidence, self-discovery, build relationships and create lasting memories. A mix of movies, adventure, leadership development, and FUN! Kids ages 10-16 are welcome! Early registration discounts valid through mid-February!